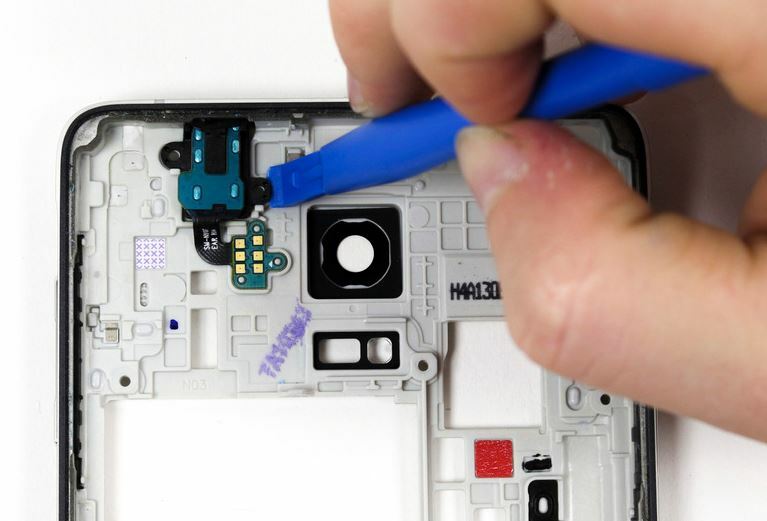 Looking for solutions to your #GalaxyNote4 audio problems? This post might help you. If you are looking for solutions to your own #Android issue, you can contact us by using the link provided at the bottom of that page. Solution: Hi Susanna. If there was no difference to your phone’s volume levels after a factory reset, you most probably have a hardware issue at hand. Unfortunately, there’s only so much that you can do when it comes to hardware problems so what you can try, before having the phone checked or replaced by Samsung, is to find some remedy. Try using third party apps like Speaker Boost or Ultimate Volume Booster to get louder music and media volume. Hi. I had a lot of issues with the Note 4. They have changed it for me 2 times in 4 months. This is the third Note 4 I’ve got just yesterday and I’ve a new issue. Now the sound on Note 4 is not working. When I restart the device, It works fine in the beginning but a few minutes later, no sounds at all, only vibrations. I’ve looked for solutions online, but there’s no way changing volume levels. I removed WhatsApp, removed everything and reset the mobile phone. After resetting .. everything is the same, working in the beginning, in few minutes no sound. All other things seems to work fine on the phone. It’s the European version SM-N910F, 32 GB running the last version of Lollipop 5.1.1. Watch a downloaded movie or Direct Cable TV, or even YouTube, sound shuts off every 10 minutes for 10 seconds. Phone shuts off even though I have 41-85% battery left. Solution: Hi Tod. That the problem appears to follow a certain pattern (sound shutting off every 10 minutes for 10 seconds) may actually be triggered by either an app or a unique firmware glitch. Important: after doing the reset, try to observe the phone for a few hours without installing any app. That way, you will know if one of your apps is the issue. Keep in mind that these solutions are meant to deal with software problems. If nothing changes after doing all of them, you most probably have an issue with the phone’s hardware. Since we don’t do hardware diagnostics, troubleshooting, and repair, try to bring the phone to a local shop to have audio circuits checked. Hi! Every time I turn down the media sound settings on my phone, it doesn’t keep the setting for more than a couple of minutes. I’ve turned it down with the volume button while in apps, and I’ve gone into the phone settings and turned it down. I’ve tried shutting the phone off, and have also removed the battery to re-set things. But the media keeps turning up again. How can I get the phone to keep the settings that I choose? Solution: Hi Julia. There has been a number of audio-related bugs reported by the Android community in the wake of Lollipop update and the one you have is one of them. Try to delete the cache partition and do a master reset (factory reset) to fix the issue. Hello, I have 2 issues today that I hope can be fixed. I have tried factory reset for both of these and it didn’t help. The first problem is with my sound. This started a few months ago but not that long. The sound only plays with earphones plugged in but not with the external microphone. Solution: Hi Zarina. The first issue may be hardware in nature. If you mean to say the speaker does not work when no earphone is plugged in, it may all boil down to some loose connection in the motherboard. Have the phone checked by a qualified technician and hopefully there’s no significant repair needed to fix it. For your secondary issue, try deleting the music player app’s cache and data first, then wipe the cache partition second (steps provided above). The error message is a generic error triggered when the music file you are trying to play is on an unsupported format, or if there’s a bug on the app. If the music player was able to load this file before, an update or a glitch may be to blame. Choose the name of the app that has been going rogue. From there, you will see the Clear Cache button. I have a Samsung Galaxy Note 4. It’s about a year old. I use my earphones all the time for phone calls and music. Suddenly there’s a problem. The sound keeps cutting out when I move the wire. It’s as if the headphones become disconnected and connected so I can’t hear music or conversations properly. I tried it with two different headsets and the same problem occurred. Solution: Hi Stephanie. There are two components in mobiles phones that are most susceptible to usual wear and tear — the microUSB port and the earphone jack. Both of these ports suffer from regular mechanical contact with other devices. If a user is not careful with plugging or unplugging, the jack’s internal connection may eventually get loose resulting to the problem you just described. If you want to replace the earphone jack assembly yourself, try looking for online guides on how to do it. iFixit website provides reliable guides on replacement of components so make sure to check their site. If you don’t want to go this route, simply bring the phone to a local shop.